The legislation calls for state-funded task forces and other actions amid deepening concerns that law enforcement agencies lack the data and resources to understand the scope of the crisis. In Montana, a bill named for Hanna Harris -- a 21-year-old found slain on the Northern Cheyenne Reservation in July 2013 -- proposes that state authorities hire a specialist responsible for entering cases into databases. "To us we've seen study bill after study bill," said Rep. Rae Peppers, a Democrat. "Why waste money on a study bill when the issue was right in front of us?" • Read more: Why are Native American women vanishing? 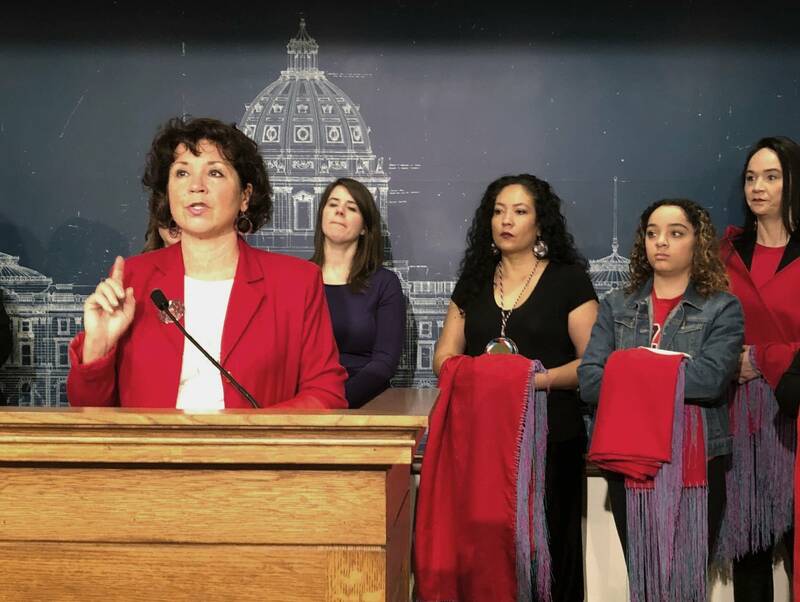 Rep. Tamara St. John, a South Dakota Republican and member of the Sisseton Wahpeton Oyate, said she's co-sponsoring the measure to put a spotlight on the cases.